CCN recently reported on the case of CoinFlux CEO Vlad Nistor. The Romanian bitcoin exchange executive has been arrested on suspicion of money laundering and other crimes and is currently fighting extradition to the United States. Earlier this week, CoinFlux posted to Medium.com to inform followers that they are unable to access parts of their platform including those which would allow them to deliver information in the usual way. They said at the time that they were working to regain access to exchange funds so they could determine what the next course of action would be. Currently, they remain legally disallowed from doing any sort of cryptocurrency exchanges. CoinFlux, a cryptocurrency exchange based out of Cluj-Napoca, Romania, has halted activities following reports that its CEO, Vlad Nistor, was arrested in connection with a money laundering investigation. Saturday, the exchange posted another update. In this update ,they said that they are working with the financial institution who manages all of their bank accounts, MisterTango, to have all funds returned to clients. As any reader knows, crypto balances are not held by banks. Thus, the post does not seem to address crypto funds held in the exchange’s wallets, but fiat. They have not yet issued an announcement about how and when they intend to return client crypto balances. As we said, in the Thursday post they mentioned that they were unable to use their platform for legal reasons. The case against Vlad Nistor centers on activities of Romanian scammers in 2014 and 2015. He is alleged to have actively helped scammers via Telegram in disposing of their ill-begotten gains. This would involve the conversion of knowingly stolen funds for cryptocurrencies. The crypto gains from then to now would be substantial, 2015 being a downturn year for Bitcoin. The number of affected individuals in this situation is likely low, as the volume is so minor that places like CoinMarketCap.com, which lists hundreds of small exchanges, does not even report CoinFlux volume. A Bitcoin trader in South Africa was kidnapped and tortured in order for criminals to steal his cryptocurrency. Bitcoin and its brethren exist in the digital world, but the real world can hold dangerous and terrifying consequences for those involved in the cryptocurrency ecosystem. Criminals have proven themselves quite willing to rob, assault, and even potentially kill those who possess virtual currencies. The latest case involves a Bitcoin trader in South Africa who found himself kidnapped and tortured. It’s been reported that a Bitcoin trader, known only as Andrew in local media, met a man on Facebook that was interested in cryptocurrencies. Andrew was invited to a residence in Ntuli Street in Meadowlands Zone Five to give a presentation on cryptocurrency. Andrew showed up at the residence at 1 pm to give his presentation. There, he was met by a group of four men and two women. When he entered the home, someone came up behind him and stuck a cloth over his face. This cloth was apparently soaked with some kind of drug as he was rendered unconscious. When he woke up, he found himself in a different residence and surrounded by three men and two women. The group demanded his bank account information and his password to his Bitcoin wallet. He was stripped of his clothes, was assaulted, and tortured with a hot iron. Eventually, he gave up the information. The criminals stole about R 800,000 ($57,873 USD) from his Bitcoin wallet. They also stole R 100,000 ($7,234) from his bank account, as well as the R 3,000 ($217) he was carrying on his person. The criminals also stole two laptops and two iPhones. Luckily for Andrew, the criminals blindfolded him and dropped him off on a distant road. He is currently recovering in the hospital ICU. Police are looking for the culprits. Andrew is lucky to be alive. Criminals are quite willing to use violence to gain access to cryptocurrencies. Back in March, two women performed a home invasion in Connecticut to steal bitcoins from the homeowner. The pair were armed with a cattle prod and pistol, which was used to whip one of the home’s occupants. In Taiwan, a man, looking to sell his bitcoins, and his friend were set upon by a gang of four men. The two men were beaten up and the seller was forced to transfer over $170,000 in bitcoins. In New York City, a group of “friends” poured hot wax on a man and held his head underwater in order to get his crypto wallet information. Another violent attack took place in the United Kingdom back in January. 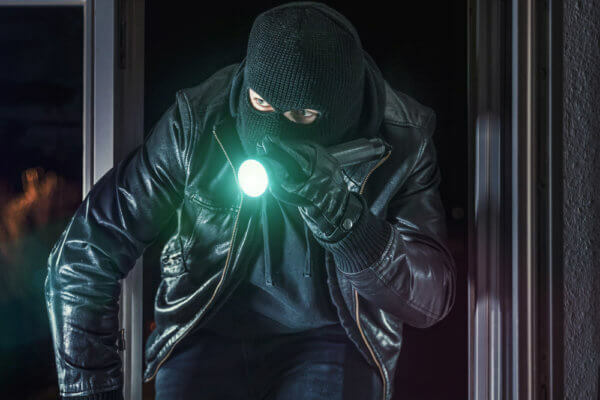 A Bitcoin trader had a gang of armed criminals burst into his home in the late morning. He and his wife were held at gunpoint while their baby was put outside on the porch. Once the trader transferred his cryptocurrency over to the thugs, they left. As you can see, it can get quite dangerous when meeting someone face-to-face in the crypto world. It behooves one to always meet in public places and to have some people with you at all times. It’s always wise to take precautions as many criminals are willing to go to some very lengthy, and sordid, steps to get their hands on your cryptocurrency. Have you ever been worried when doing a physical trade? Let us know in the comments below. The CEO of “AriseBank,” who CCN previously reported as the target of an SEC injunction and civil proceedings in January, was arrested by the FBI this week without incident on charges of fraud to the tune of around $4 million, according to a press release from the Department of Justice. The arrest comes on the heels of a California US District judge giving some resistance to an SEC request for an injunction against another ICO against which it has a civil suit. According to public records and the Grand Jury indictment, Jared Rice was previously charged with tampering with government records in Texas for forging the Secretary of State’s seal and signature on incorporation documents. In the same case, which dates back to 2015 and was related to another attempted internet venture, Rice was charged with stealing – in that case, investor funds. This would have been something an ICO reviewer might have come across with any degree of research. To add a bit of TMZ-style flair to his case, Rice decided to use some of the proceeds of the AriseBank scam to fund his family attorney and a guardian ad litem, which are items related to his apparent domestic problems. In the photo to the right, he is under arrest and held on $15,000 bond for assault on a family member. The domestic violence arrest appears to have been after the charge of defrauding the previous investor, who is not named in the Grand Jury indictment document nor is immediately apparent in other methods of inquiry. It seems that in all his spending, he did not think to pay to scrub his arrest records, not even with the prospect of millions of dollars more. The case brings to mind the much more successful scamming of crypto mining executive Josh Garza, who was eventually sentenced to federal prison. Following the RBI’s declaration of bitcoin as “illegal tender”, India’s Enforcement Directorate which oversees financial law enforcement turned its attention to Ambidant’s activities. It was one of over 4,000 companies placed under similar investigation, but unlike the majority of the others, its investors had no idea about its cryptocurrency investment exposure. In addition to deceiving investors and running a Ponzi scheme, the activities of Ambidant may well have been at odds with Sharia law itself. A number of Islamic scholars are of the opinion that cryptocurrency trading is not a Halal practice because cryptocurrencies lack intrinsic value or centralized government support, both of which they say are required in order to be considered a currency under Sharia law. However, there is no consensus of Islamic opinion on this point. In April, CCN reported that Mufti Muhammad Abu Bakar, a Sharia adviser and compliance officer at Blossom Finance in Jakarta published a paper classifying Bitcoin as Halal, a pronouncement which led to a $1,000 price jump. Cameron and Tyler Winklevoss of the Gemini Exchange in New York are suing early bitcoin investor Charlie Shrem for allegedly stealing roughly 5,000 BTC. Shrem left prison in 2016 after a year-long sentence for allegedly helping people illegally purchase drugs online. Since his release, Shrem has reportedly purchased two Maserati vehicles, two power boats, and a $2 million home in Florida, along with other smaller real estate properties. However, Shrem claims that he went to prison with virtually no money in his pocket, which has aroused questions regarding where the funds came from. Either Shrem has been incredibly lucky and successful since leaving prison, or – more likely – he ‘acquired’ his six properties, two Maseratis, two powerboats and other holdings with the appreciated value of the 5,000 bitcoins he stole. The lawsuit erroneously alleges that about six years ago, Charlie essentially misappropriated thousands of bitcoins. Nothing could be further from the truth. Charlie plans to vigorously defend himself and quickly clear his name. The lawsuit is already leading to several problems for the man commonly referred to as “Bitcoin’s first felon.” According to court documents, the judge who oversaw Shrem’s original trial four years ago has already agreed to freeze some of his financial assets. Furthermore, an affidavit filed in court states that Shrem has not yet paid the nearly $1 million in restitution he owes the government as part of his 2014 guilty plea. Where’s This Money Coming From? Cameron says he and his brother first began looking for the missing bitcoins after they noticed Shrem’s extravagant spending. They ultimately hired an investigator, who claimed that roughly 5,000 BTC were transferred in 2013 to different addresses owned by Shrem on both Xapo and Coinbase. When he purchased $4 million in real estate, two Maseratis and two powerboats, we decided it was time to get to the bottom of it. Since his release two years ago, Shrem has been involved in several troubled cryptocurrency projects, including a crypto-based credit card and an initial coin offering (ICO). In both instances, Shrem and his fellow leaders were forced to offer refunds to investors after several partnerships that had been promised did not come through. Whose side are you on? The Winklevoss twins’ or Charlie Shrem’s? Post your comments below! Two women have been arrested in connection with a March home invasion in Killingly, CT, where victims were not only robbed but also allegedly pistol-whipped and attacked with an electric cattle prod. 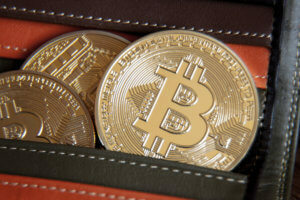 The incident, police said, was the tragic culmination of a dispute involving a bitcoin account. Apparently, the home invasion occurred because a female victim opened a bitcoin account for one of the alleged home invasion suspects, Monique Delannoy-Jodoin, 59, who police said is a resident of Manville, RI. Police also stated that Ms. Delannoy-Jodoin was already under investigation for narcotic sales and delivery through the postal system. The other suspect was Beatriz Viruet, 38, who is a resident of Providence, RI. The female renter claimed to recognize two of the home invaders, who then pistol-whipped one occupant on the head, and utilized an electric cattle prod on another occupant. The female renter was able to escape to a neighbor’s house, but not one of the suspects was able to force entry into the bathroom, where the renter was hiding, using a hammer. The suspects stole money, cell phones, and a television, according to local authorities. Allegedly, one of the suspects, told the other to “shoot the victims,” as well. Many have criticized the fact that cryptocurrency can be used for money laundering, considering that it can often be harder to trace than fiat currency. The sector is often accused of fraud, and there are even international task forces organized to target ICOs worldwide. This is a still-rare-but-increasingly-more-common instance where there is a violent crime associated with cryptocurrency. Indeed, it is not the only violent incident that has happened in relation to bitcoin. Earlier this year, there was a shooting in downtown Miami in connection with a bitcoin deal gone awry. According to police, Monique Delannoy-Jodoin wanted money and passwords related to her bitcoin account. She was ultimately charged with home invasion, risk of injury to a child, third-degree criminal mischief, second-degree assault with a weapon, second-degree breach of peace, criminal use of a weapon, and sixth-degree larceny, among other charges. Beatriz Viruet was charged with home invasion, first-degree robbery, and second-degree breach of peace. Delannoy-Jodoin was held on a $250,000 bond, while Viruet was held on a $100,000 bond. The women are both are due to appear Monday in Danielson Superior Court. Crypto scammers have become an unsolvable menace for all social media companies and popular personalities. Twitter tried a number of different things to stop it, from mass banning of accounts to mandatory phone number verification when someone changes names, but till now the tweets of these scammers can be spotted easily on the platform. Same applies to websites as well – fake news related to crypto giveaways is nowadays present on popular sites too. If you see PM Loong’s tweet carefully you can see how a fake news soliciting Bitcoin was published by The Mirror. So, if you see any crypto giveaway contests on Twitter, dig deep about the legitimacy of the offer before taking it seriously. Dig as much as possible. Because these are precisely the kind of scams that target people playing with crypto.